From the Jensen FF Mk1 sales literature: “12 volt 40 amp alternator with 6 silicon rectifiers. 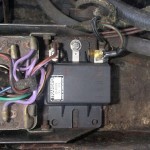 Voltage regulator. Battery 67 a/h. The recommended battery is a Lucas 089 rated at 590 cranking amps (L 265mm, W175mm and H205mm). After some informative discussions about the 60 amp alternator ,the cooling fans and the desirable reserve on a battery I bought a Lucas 017/4 rated at 850 cold cranking amps and 95 Amp Hours capacity (L354mm, W175mm and H190mm) at £58.00 +VAT. 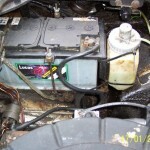 The plastic undertray to the battery was removed and the tray modified at its rear by removing its lip to take the longer battery. 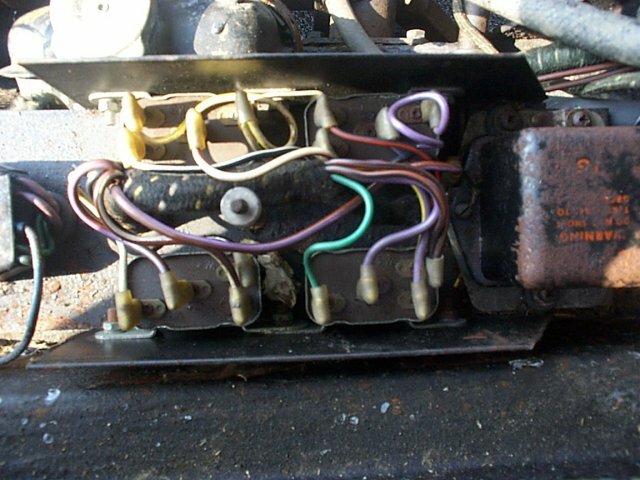 The terminals are also reversed but the existing leads reach. Looking at it with the round posts furthest away the positive is on the left and negative on the right. Had to remove the battery under tray as this was to small. The windscreen washer bottle has also had to be mounted differently. Not a brilliant result but it works. 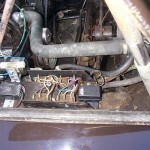 Above, relay box with alternator control box to right hand side. 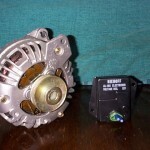 The original single pulley alternator was replaced under warranty at 5958 miles due to it “not charging”( part no. 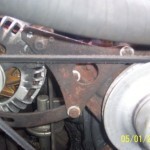 3000010 ) The replacement was a double pulley alternator. The list gave me the following information………………………….I was also advised by one American co. that to uprate to far with a single pulley drive was foolish. 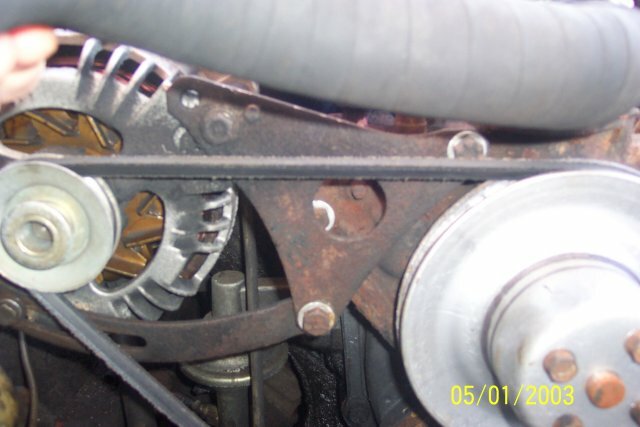 The double pulley alternators are meant to have 2 drive belts because of the additional forces produced by a larger amperage demand. With the Mk1’s it is better to have a larger battery to cope with occasional high demand. 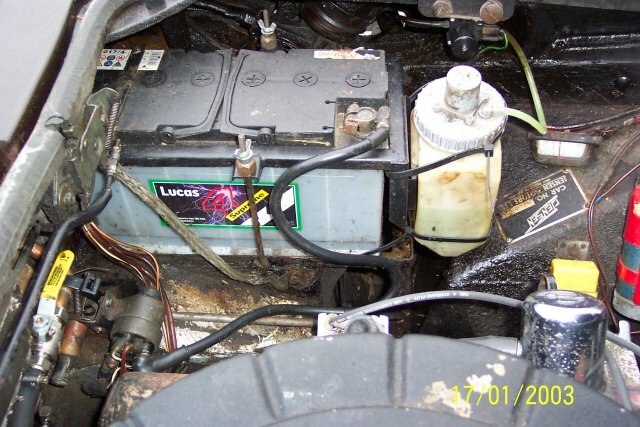 In the end I opted to replace the battery with the Lucas 017 which has 850 cranking amps and ………………..amphrs. 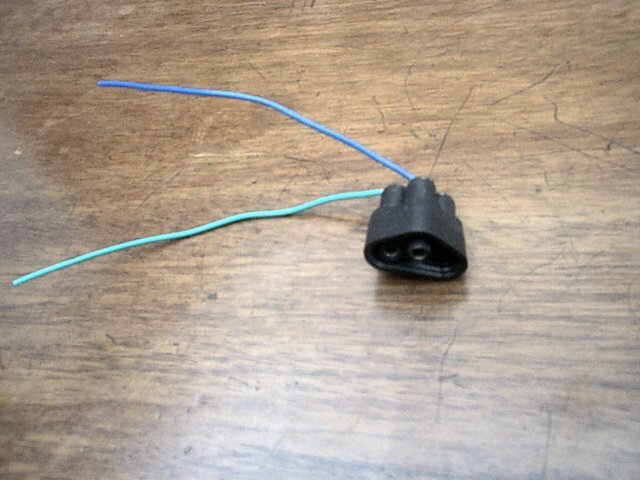 ( at one point I even ran a wire direct from the negative battery terminal direct to the unit. The problem is it is pumping out 17 plus volts ( my analogue volt meter only goes up to 17 volts) with all the lights on and fans going the voltmeter shows 16 volts. It’s obviously overcharging ( I can smell the battery gases too) and wont drop. It’s a new battery and I’ve fully charged it of the mains. Anyone any ideas. Anyone know any relevant tests I can do? 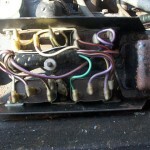 1) There is a Delco C-130 or something which is a 140 amp and only needs bracket modification to fit. 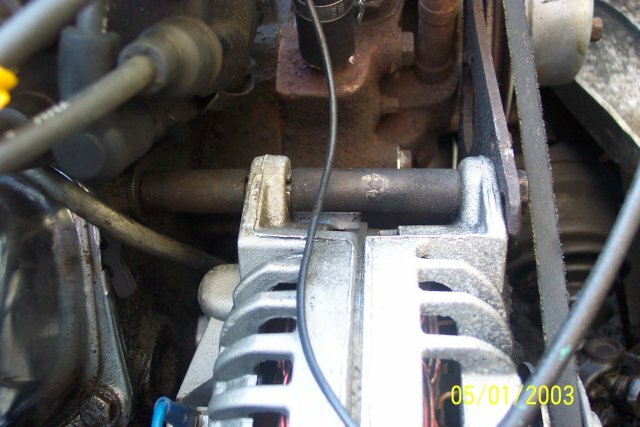 2) When I had my alternator rebuilt, I had them upgrade the rebuild to an output of 65 amp from a 35 amp. It was the largest that they could do in the same casing. It handles all of my electrical needs as when I turn on everything electrical when the engine is running in idle, it is still showing 14.5 amps on the gauge when the battery is fully charged. 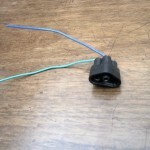 This was also the cheapest way for me as I did not have to have an adapter plate built or modify the car in any way. 3) It sounds like the electronic regulator has a short in it, or that somehow the field windings are connected to +ve all the time. It could also be miss wired in some way, or the purple wire shorting, etc. Somehow, you are getting (too high a) voltage across the field windings when you shouldn’t. You need to find out how and where. 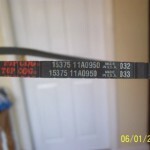 Test A. Verify the voltage with the + voltmeter probe actually on the I terminal of the regulator ( – probe always on frame unless otherwise stated). If the connection is not in order this may be lower than the desired system voltage and the fault lies in the connection to the system through the relay contact. If the measured voltage is the same as the (incorrect) system voltage, we must look elsewhere. Test B: Disconnect the brown/green wire from the regulator. Test with headlamps full on. 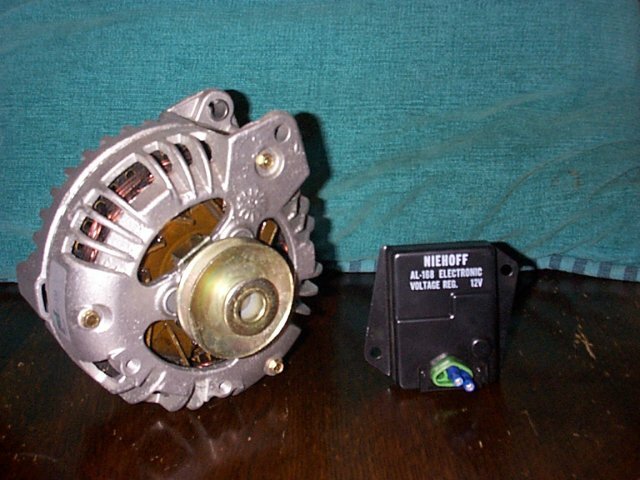 The alternator should now be unable to pass field current and should not be able to increase the system voltage beyond the battery value of about 12 volts. 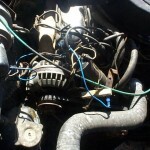 If it still does generate a high voltage, there is a short on the alternator field or the wiring attached. 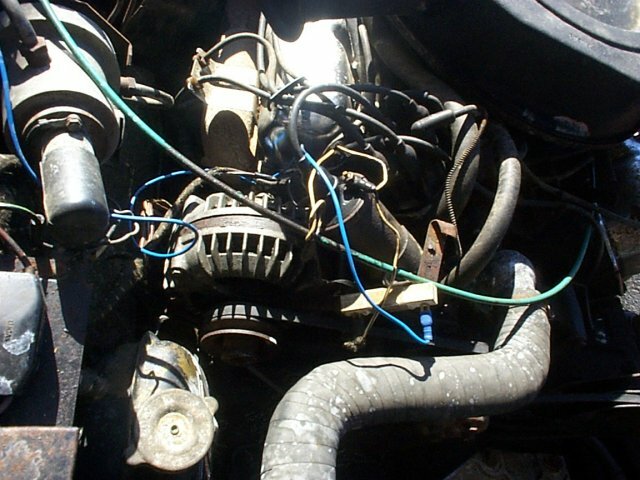 Try again with the wire disconnected to see if the short is inside the alternator. The regulator plays no part in this test. 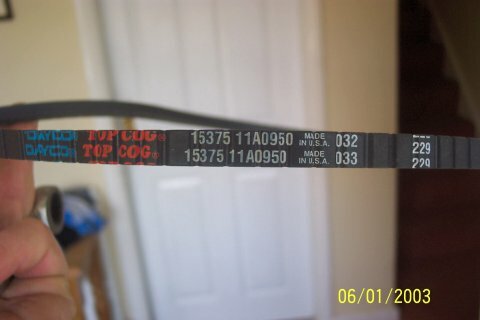 Test C. Check the voltage on the terminal of the regulator that has the brown/green wire on it. I do not know exact values, but if the regulator is faulty I would expect to see a very low voltage at this point, even zero, and it probably will not change when turning the headlights on and off. If this is not so, I’m afraid there must still be some doubt about what is wrong. One possible problem is that I do not know whether this regulator controls the field current by effectively adding a variable resistance in the field circuit, or whether it does so by chopping the field current rapidly with a variable on/off ratio. I think this test should be valid either way, using a normal analogue voltmeter, but there are some possibilities of being misled if the chopping system is used. I hope this helps. Above, two photos showing the temp solution to my charging problem. Having done various of the tests above I concluded that the control box was not working properly. The is an alternator and starter motor repair chap not far from me. C.E.Willaims Auto Electrics 30A Node Hill Studley Warwickshire. B80 7RG. Tel 01527 853463. Eventually I removed the alternator and he bench tested it ( free ) which confirmed my tests ( that the alternator was working) he then said that if I was stuck for a regulator (I needed one to see me through the MOT test) then he had an ” all purpose one” which he sells to allow non regulated alternators to charge at 14.5 volts. They are evidently off a Renault. He sells them for £18.00 inc. vat. 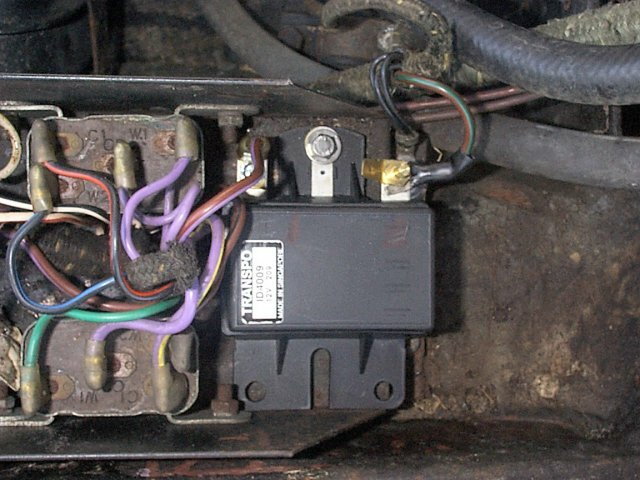 It has two wiring points one goes to an ignition live and the other to the single field terminal on a single field terminal alternator or if the alternator has two field terminals then to any one of these. (The other field terminal is simply earthed). It fitted perfectly in the space left after removing the old mechanical regulator, even the earth mounting point lined up perfectly. 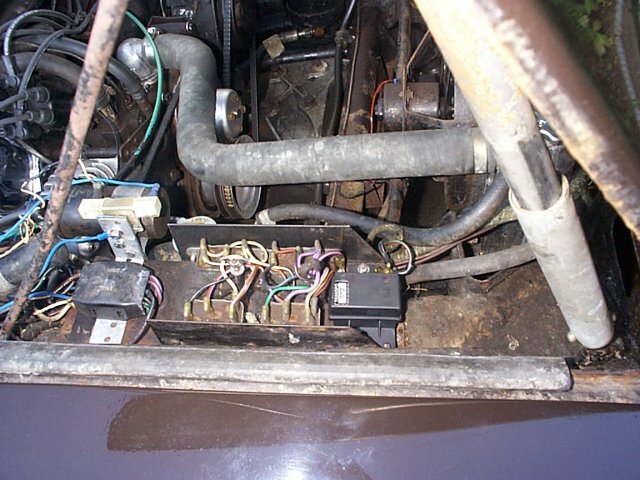 The existing wires that were the ignition live and field wire connection fitted perfectly without any changes. 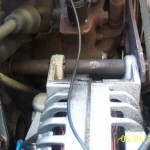 I started the motor and hay presto charging nicely.